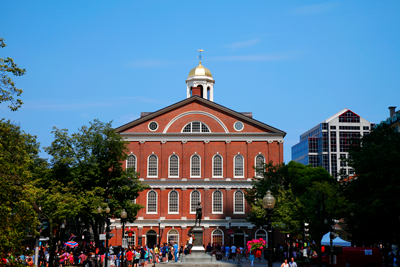 Here are but a few areas we recommend exploring for an authentic Boston bite. Whether you must make a quick purchase or are looking forward to a leisurely afternoon of shopping, you'll find everything you need among more than 200 retailers and 300 independent jewelers in Downtown Boston. The first and only locally sourced market in the US. Everything sold at the market is from local New England vendors. Are you interested in history and love the outdoors. 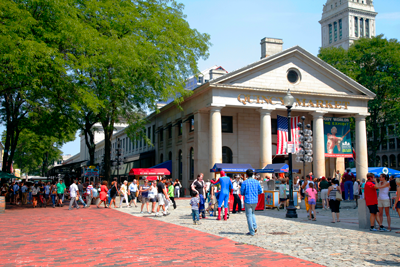 Look no further than the Boston Freedom Trail, a 2.5-mile, red-lined route that leads you to 16 historically significant sites — each one an authentic treasure. Explore museums and meetinghouses, churches, and burial grounds. Learn about the brave people who shaped America and discover the rich history of the American Revolution, as it began in Boston, where every step tells a story. You’ll learn all about the history of the Samuel Adams brand, experience the entire craft brewing process, taste the specialty malts and smell the Hallertau hops used to brew Samuel Adams Boston Lager, and, of course, sample a few of their award-winning beers. Visit the Skywalk Observatory, Boston's only sky-high vantage point for sweeping 360-degree views of Greater Boston and beyond. Let your eyes and ears do the walking as you experience the exclusive state-of-the-art Acoustiguide audio tour detailing the city's many points of historic and cultural interest. The Bunker Hill Monument was erected to commemorate the Battle of Bunker Hill, which was among the first major battles between British and Patriot forces in the American Revolutionary War, fought there June 17, 1775. The 221-foot (67 m) granite obelisk was erected between 1825 and 1843 and has 294 steps to the top. Visit the oldest commissioned warship in the world. Admission and guided tours are available for a suggested donation. Relive December 16, 1773, the famous day when American Colonists opposed British rule (and steeped the Harbor with liber-tea). 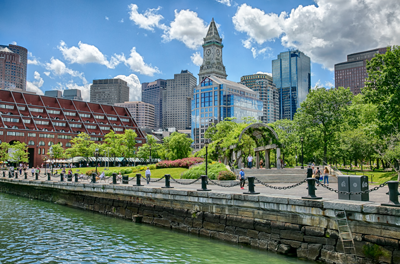 Located on Boston’s waterfront, the picturesque museum is home to works of contemporary art from the past 65 years. The museum features many exhibits and galleries, including one of the world's largest Asian art collections in addition to one of the most important Egyptian collections both in breadth and depth. From butterflies to nanotechnology: the interactive museum features hands-on exhibits and even a planetarium. Great place for any family to visit. 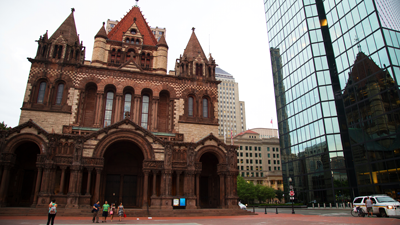 With its unique architecture, Trinity Church sits at the heart of Boston and is a true sight to behold. The venue is full of French and Italian styles, and is a great example of the design from the vaudeville era. They host the region’s most active program of top touring Broadway shows, Boston Ballet performances and other high-quality cultural presentations and concerts in New England’s most magnificent theater. The Boston Opera House will be hosting the play Aladdin during the month of July, providing an opportunity for the whole family to enjoy a classic tale. 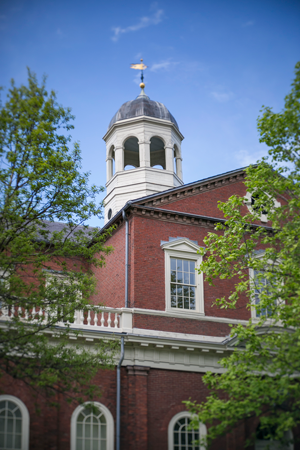 Harvard is the oldest institution of higher education in the United States, established in 1636 and situated in Cambridge, Massachusetts, its 5,000-acre campus houses 12 degree-granting schools in addition to the Radcliffe Institute for Advanced Study, two theatres and five museums. It is also home to the largest academic library in the world, with 20.4 million volumes, 180,000 serial titles, an estimated 400 million manuscript items, 10 million photographs, 124 million archived web pages and 5.4 terabytes of born-digital archives and manuscripts. Well known for its beautiful, and iconic, campus, Harvard is a must see if you have the time.